The Tastemaker Top 10 is a collection of 10 questions asked by me and answered by some of my favorite bloggers. Here they will tell you a little bit about themselves, their blogs, and of course, their favorite foods and restaurants. Today we are hearing from Sarah over at The Balanced Babe. The Balanced Babe is a blog dedicated to living a healthy and Sarah does it all with style! I'm so excited to feature her today and now I want to figure what the heck cracker noodles are and how to make them... read on! In a few sentences, tell us a little bit about your blog: I started Balanced Babe as a platform to motivate and inspire readers to bring more balance into their life as far as eating right, taking the time for self care, and providing motivation and holistic health tips. It is a way for me to share my own knowledge and ways I maintain a balanced lifestyle. I will be offering health coaching programs in July in addition to my image consulting services. So, The Balanced Babe is a way to show the world what I've got in the works before then! 1. Favorite meal, food, or cuisine: I like following the 80/20 rule, which means I eat super healthy 80% of the time, and I indulge 20% of the time. I also follow a plant based diet, which is 90% vegan, but I will eat cheese and eggs here and there when I have the urge! When I am craving meat I love making meatless meatballs or I make stuffed chicken every other month or so when I'm entertaining. 2. Least favorite meal, food, or cuisine: I used to have a significant distaste for tomatoes! Even the smell of them would make me cringe. Luckily, I can tolerate them cooked (and I mean REALLY cooked). I throw them into my soups and stews, and make an awesome home made tomato sauce. I still can't eat them raw though! 3. 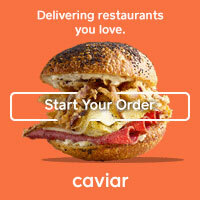 Favorite restaurant in your city: I am such a HUGE foodie! I literally discover new places weekly and have a new favorite restaurant frequently. I have so many favorites! I find plant based dining options around Chicago and write about them on The Healthful Guide, which is a site connected to Balanced Babe that is dedicated to providing a helpful guide to healthy living in Chicago!. This way, readers can always be up-to-date with trendy Chicago dining spots that offer healthy options. 4. Favorite restaurant outside of your city: This is such a hard decision!! I can't pick an exact restaurant, but I can tell you two places to travel where you can never go wrong with their dining options! Montreal, Canada is a superb place for a romantic trip, and is a prime city for indulging in rich and savory meals. When I was there (before I turned plant based) I had foi gras and an amazing duck dish at LES DEUX SINGES DE MONTARVIE. I also had cocktails at a speakeasy and intimate bar called Big In Japan, and indulged at Bistro Duo.D and Quattro. The other city that you will die and go to foodie heaven is Greece. This trip was recent, so I was on the hunt for plant based. Mediterranean food is extremely healthy but sooooo mouth watering scrumptious! I loved Horta (dandelion sautéed) and dining at a restaurant called Attikos that overlooks the Parthenon while munching on eggplant tomato and goat cheese casserole. I also enjoyed a grape and arugula salad at Oroscopo. Also to top it off, it is now trending for restaurants to bring you complimentary dessert as a thank you..so I was literally elated every night. 5. Favorite food memory. Right now my favorite ingredient is beets. I know it sounds strange, but I probably eat beets every day. I add them to my morning juice, to my big salad during lunch, and even as a side with goat cheese for dinner. Beets are so incredibly good for you. They detox the liver, can help prevent cancer, packed with all kinds of vitamins and minerals, give you an energy boost and helps lower blood pressure. Seriously, the list goes on, but you get the point! 8. Favorite kitchen tool, utensil, product, etc. : Here are my current kitchen essentials: A juicer for making a BIG batch of juice that will last me for two days. A vitamixer so that I can make smoothies on the go. A cheese cloth strainer so that I can make home-made almond milk, and a salad spinner! 9. Favorite recipe: My favorite recipes change seasonally, but right now my favorite is my plant based tacos made with green lentils, fresh tomatoes, romaine lettuce and vegan mayo. If you are not a strict vegan, Greek yogurt tastes just as good and is a healthy sour cream replacement. Here is the recipe! 3. once onion is translucent, stir in with the lentils, and season with the chilli powder, adobo seasoning, and other seasonings, for about 7 minutes. 4. pull the leaves from the romaine head, and line one side of the inside of the leaf with the vegan sour cream. 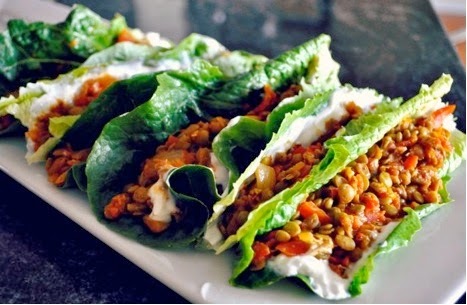 5. fill the rest of the leaf with the lentil mixture, and serve! 10. Favorite thing about blogging: Inspiring and motivating readers to follow a “Balanced Babe” lifestyle. The Balanced Babe lifestyle is simply maintaining balance in every aspect of your life to the best of your ability. I talk about it more in depth in my blog, but the idea is all about balance. I love getting emails and notes from readers who have tried a recipe, at-home beauty remedy, or enjoyed a balanced babe interview. Blogging lets me connect with others who are looking to kickstart a healthy lifestyle, or who want to share their own wellness advice. Blogging also allows me to connect with other like minded individuals. When I feature someone on Balanced Babe, their story gets me so inspired myself! Blogging brings me all around happiness. Balanced Babe carries positive energy with it, and is a great platform to get my word out there, when I am not meeting with clients! 11. BONUS! Five favorite blogs/blogs that A Squared readers should know about: There are so many health blogs that bring me inspiration, here are some of my favorites! Thanks so much for your thoughts, Sarah!